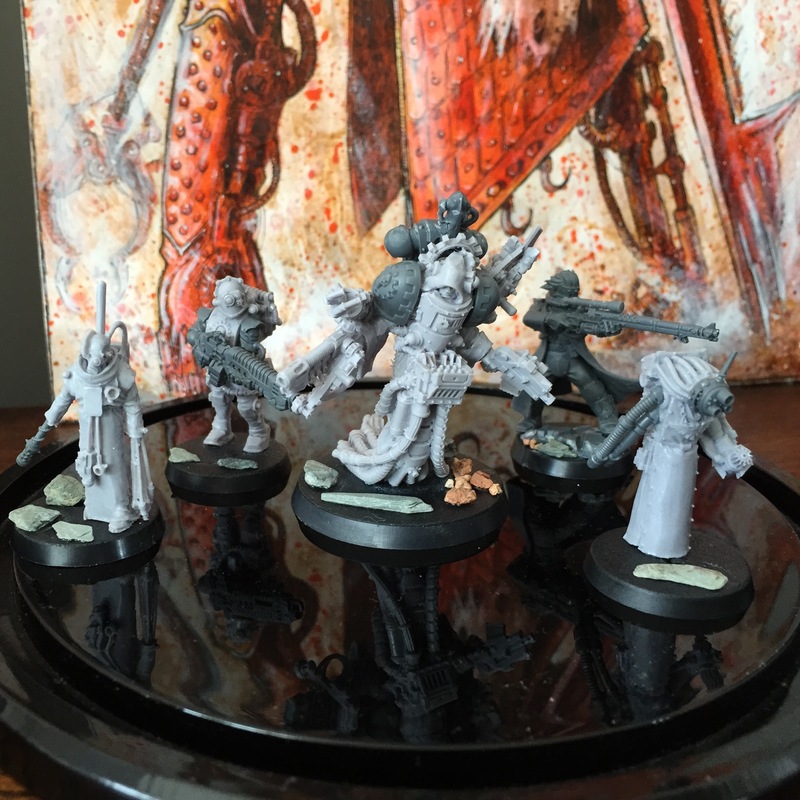 My second WIP Iron Priest and his Thralls and Kaerls, readying for the long journey down to wake the dead from their sleep. Plan is to build a retinue with a strong martian theme, but each an individual. Iron Priest will join a retinue of heavy Thralls with Graviton weaponry being built from Myrmidons and the assorted thralls and Kaerl will build a third, themed scout squad. The Iron Priest has all the gear a sergoharness does and a belter for WYSIWG. I got the second mechanicus release, the 40mm based beasts in the mail today, so converting one of those tonight for this. Migs and Mechanicus, what’s not to love? That Iron Priest just sums up the world of 40k. Sanity with a sly grin of madness lurking at the edge.